Saving Green by Going Green! ProSweep has been busy establishing business practices that will keep our company and our environment healthy and growing for years to come. 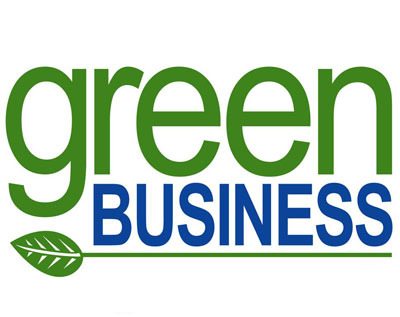 So, how does an eco-friendly business like Progressive Sweeping make their company even greener and more cost-effective at the same time? Our recently implemented in-office recycling program ensures we minimize our paper and supply consumption and recycle what we do use. By using less, we are saving more and connecting our staff through the shared goal of creating a company that cares about the environment as much as the job we do. ProSweep is not only addressing physical waste like oil, tires, and mechanical parts but recognizing the growing carbon footprint of the Internet. The ProSweep website is now powered with renewable energy and Green hosting from GreenGeeks.com. With this new hosting, we are creating a positive impact by replacing three times the amount of energy our website uses with wind energy credits. While green technology is the cutting edge of environmental sustainability, traditional waste materials are also still a problem. What happens to all those materials ProSweep uses to get the job done? Tires: Our tires get retreaded as opposed to being thrown away, extending their life and reducing waste. Scrap Metal: All metal gets made into a variety of recycled products including ones we put right back into our company. Anti-Freeze: Our truck’s antifreeze is rejuvenated, decreasing the amount used and the amount that needs to be disposed of. Oil: Oil from our sweeping trucks is reused in EPA approved clean burn oil furnaces to heat our garages during the winter. We look forward to seeing the effects of all our changes and doing even more to create a company culture of environmental sustainability while providing our customers with services we can all be proud of.